As we touched on in our review of the Sony LF-S50G smart speaker, we’re now firmly in the second wave of smart speaker developments. The ground-rules have been established - now is the time for expansion and diversification. On paper, any company can try to build a better speaker than Google or Amazon whilst leveraging the same software experience. Sure, there are always going to be purists who want to stay true to Google or Amazon’s vision of what a smart assistant should look like. However, for everyone else, it’s important to have options. Sony’s new LF-F50G promised to provide just that: an experience that’s exactly every bit as smart as Google’s own offering but with a few added perks to justify the padded price-tag. Unfortunately, as we noted in our review, it rarely felt like the $100 improvement it ought to be. Now, JBL are tackling the same problem with their own take on things: the JBL Link 10 and 20 portable smart speakers. 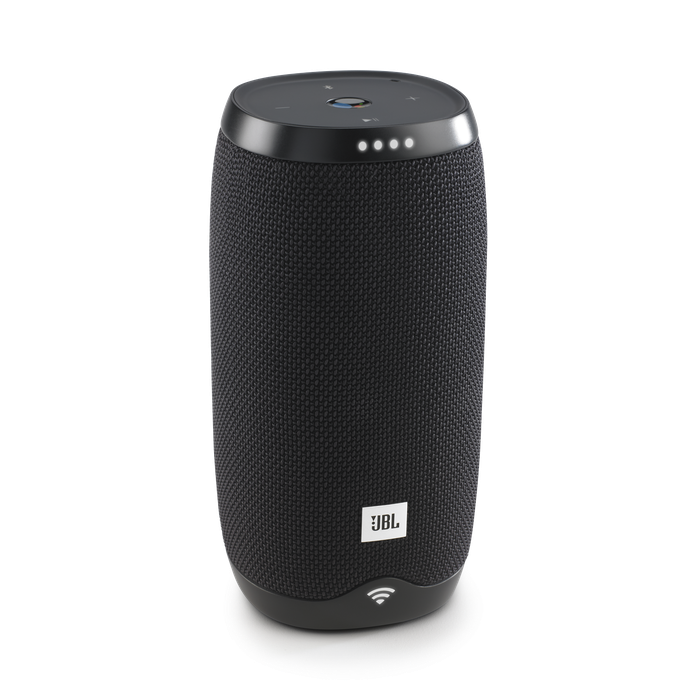 The JBL Link 10 is a wireless smart speaker that produces 360-degree audio using two 8W speaker units paired with two 45mm transducers. It’s IPX7-rated against water and dust damage, includes a 4000mAh battery (good for five hours of playback) and boasts Bluetooth and Wi-Fi connectivity. It comes accompanied by the slightly-larger JBL Link 20. This speaker bumps things up to two 10W speaker units and 50mm transducers. Like its sibling, it’s IPX7-rated against water and dust damage, includes a 6000mAh battery (offering ten hours of playback) and boasts Bluetooth and Wi-Fi connectivity. Both Link speakers boast a frequency response range of 65Hz–20kHz. When it comes to the software side of things, there’s not a hugely-long or grandiose story to be sung about the JBL Link 10 and 20. At a glance, they look strikingly similar to JBL’s Flip and Charge speakers. They rehash and relish the same rubber-and-fabric cylindrical design with little shame - instead settling for a little added bulk. Then, in practice, the JBL Link speakers quickly reveals themselves to be 'just another Google Home speaker.' You say “OK, Google” and it can do all the things that the Assistant is capable of doing. You can check the weather, you can ask it questions, you can tell it to play music. There’s no huge difference or additional limitations here in terms of what you can and can’t do compared to the regular Google Home. That said, there are a few physical quirks worth touching on. Specifically, the control panel. 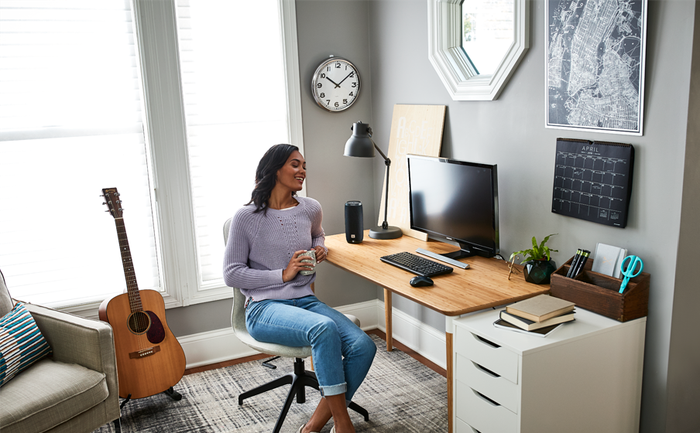 Sitting atop the JBL Link like a crown, it’s here that a set of physical buttons (pause, play, volume, pairing and a shortcut key for quickly summoning the Google Assistant) compliment the speaker’s more naturally-intuitive voice-controls. This control panel looks - and feels - a little bit unpolished. However, given our reservations about the gesture-based controls in Sony’s LF-S50G, it emerges as a reliable fallback by comparison.